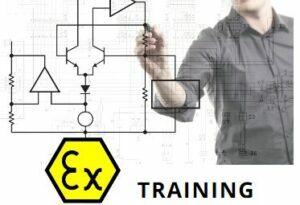 This 2 day Ex Certification Training course is ideal for Engineers who wish to start designing and certifying ‘Ex’ equipment or brush up on their knowledge of this complicated subject. Covering the latest editions of the Standards and new EPLs such as ‘ec’, ‘db’ and ic the course will help manufacturers understand the process of certification and their role within that process. Making the correct application, selecting the correct design standards, samples and drawings are all covered in this comprehensive 2 day course. Why use us for Ex Certification training? Ex Certification training will teach you how to design and document effectively, get certification faster and achieve more ‘flexible’ certification globally. As an ATEX/IECEx test laboratory and ATEX Certification Body, we can also demonstrate our verification methods, a unique feature of this course. People who have attended this training will be able to obtain faster certification as they will have a far better understanding of the process and be able to avoid problems. Attendees will also potentially be able to achieve more flexible certification with less need for future costly variations. The certificate, letter of intent, variations and concessions. Where possible the course will also include a tour of the test laboratory and/or demonstrations of some of the testing. Note- If you intend to design intrinsically safe circuits then this course will not have the required depth of explanation and we would recommend a dedicated intrinsic safety designer’s course. A course like this is only as good as the presenter. Our presenter is a UK based technical expert with 25+ years experience of working in Certification Bodies and a UK and International Committee member for the development of Ex Standards and Schemes. 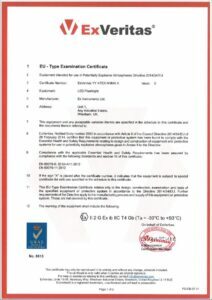 He is also the decision maker (certificate issuer) for an ATEX Notified Body and IECEx Certification Body and has conducted or checked thousands of ‘Ex’ projects. The presenter has ‘real world’ experience with both design and certification of all types of protection concepts. Each delegate will receive a Certificate and full course notes. Booking can be taken by completing the on line forms below. Please contact us if your require further details or a bespoke version of this course.